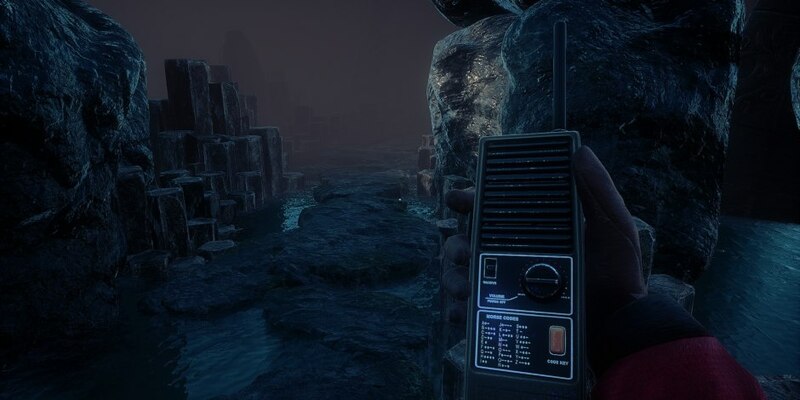 Being placed in a weird location and having no memory of how you got there is a typical, yet always strange situation that horror games tend to put players in. But to make matters worse, what if you didn’t know what was real and what was all in your head? Perhaps it is a memory of someone other than yourself that you are able to see. The worst thing about not knowing is the knowledge that you know everything about what could turn out to be nothing. Conarium by Zoetrope Interactive is a psychological horror game that was created off the inspiration from an H.P. Lovecraft novella titled “At the Mountains of Madness,” and madness is exactly how it feels throughout the experience. As the game launches on console today, I wanted to share my thoughts on the experience that it took me through. After waking up without much understanding of what is going on, you find yourself in a bunker without power. Following some basic steps to get the power turned on, things quickly become clear that something strange has happened. Your radio transmission goes off and you hear someone tell you where to go next. As you continue to progress through the journey you have just been sent on, the events and reality around you become weirder and weirder. It isn’t long before you find yourself in an underground area that was being excavated by your team, although none of them have been seen since you awoke. From here you make progress until a distressed transmission comes in on your radio urging you to keep progressing and to not head back. It is up to you to find out what is really going on down here, what happened to your team members, and get the hell out, all while trying to understand what is actual reality and what is a hallucination. In this defenseless horror experience, you will find yourself going through various caverns and strange areas. While most of the atmosphere and objects are physical, there is a mystical and ancient premise in almost every area of the game. Understanding what it is won’t help you understand how to get out. Progress in the game is halted in a series of puzzles. These can range from find-and-place type of challenges to finding the answer to open a doorway. The clues become less and less obvious, so paying attention to your surroundings and looking into the finer details will become a necessity. The first puzzle was turning on the power, which is really simple, but don’t let the simplicity fool you because the challenges begin once you head down the elevator. Throughout your journey have these flashback-like moments that are memories - not always your own. In these memories you can find secrets, solve some extra puzzles that aren’t mandatory, but most importantly, they bring you to the next point of the game. There are a few moments of danger in the game that really bring the excitement together. The way I handled them may not be the same way that you will, but I fear saying too much will make this a spoiler. For the sake of allowing you the experience, I shall simply say to keep an eye out for what lurks and don’t believe your initial instinct as you honestly don’t know what these dangers bring next. Conarium is designed beautifully, with the surrounds seeming quite real and each section of the game providing its own design of eeriness. From the statues to the enemies, everything has a solid touch where some developers tend to put too much shine. My only issue was with the player model as the few times you were able to see them, or any other human for that matter, the level of detail seemed much lower than the environment itself. As far as sound effects go, this game was spot on. There is a few constant sounds that you would expect from a cavern that wasn’t completely stable and the occasional unknown noises that kept me on my toes. Even the smaller details were there including the various footstep sounds from different flooring to a creaky ladder as I climbed down. The overall story and main puzzles will always be the same, so if you are looking for a new adventure then this isn’t the game to play more than once. However, there are secret rooms to be found, of which I only found one on my normal playthrough, and the mini-puzzles that can be solved in the memory segments, of which I only solved one or two. These mini-puzzles and secret areas give you either more bits of the story or a new collectible. There are two endings to the game, so if you want to see them both then the only moment that brings these two is whether or not you will consume the poison. That is all I will say so that when the moment comes, you know that the moment of choosing your ending is there. The animations for Dr. Faust at the end was poorly done. It is one of the few moments you see another human and during his statements you can see his head jolt back into place before starting the next sentence. This ruined the idea that he was really there and really “going through what he was going through” when it could have been one of the games most climactic moments. Conarium was an excellent horror game that I played all the way through in just a couple sittings. I didn’t want to put it down and I wanted to know the truth about what was going on and what exactly does the Conarium device do. The entire experience had me intrigued and I loved the way that everything came together. Even after seeing the ending, I still have some questions, but it brought up questions that made you think while trying to survive all of the strange events. I especially loved how challenging the puzzles were without being completely impossible.